Novelist’s graciousness, vision & wisdom shine in Anna Karenina. All was confusion in the Oblonskys’ house. The wife had found out that the husband was having an affair with their former French governess, and had announced to the husband that she could not live in the same house with him. This situation had continued for three days now, and was painfully felt by the couple themselves, as well as by all members of the family and household. They felt that there was no sense in their living together and that people who meet accidentally at any inn have more connection with each other than they, the members of the family and household of the Oblonskys. The wife would not leave her rooms, the husband was away for the third day. The children were running all over the house as if lost; the English governess quarreled with the housekeeper and wrote a note to a friend, asking her to find her a new place; the cook had already left the premises the day before, at dinner-time; the kitchen-maid and coachman had given notice. You have to wonder about when, in his writing process, Tolstoy came up with his killer first line, seemingly one of the truest and certainly one of the most famous in all of literature. Did it always launch his 800-page novel, published when Tolstoy was 49, or did it arise during composition and end up placed there? (Scholars?) In any case, does it not refute the maddening “kill your darlings” commandment? It places an expository moralizing signpost atop a great paragraph that could open the book. There’s every nasty neat reason to cut it—and one not to, bound up in the category called genius. I’m struck too by how Tolstoy starts in long-distance mode, referring to “the wife” and “the husband,” but in the third paragraph he’s moving the camera closer; soon we’re right up in their nostrils. I’ve always loved Tolstoy’s simple but elegant sentences, on full display here. I imagine that in any version, which must be an interpretation and approximation of his Russian style, Tolstoy’s graciousness and wisdom survive. Recently I pulled from my bookcase an old paperback, Vladimir Nabokov’s Lectures on Russian Literature, and it launched my Russian writers kick. I realized I’d probably meant to read Chekhov, Dostoevski, Gogol, Gorki, Tolstoy, and Turgenev with Nabokov as my guide when I bought the book over 30 years ago, in 1981. But I hadn’t. So I’ve started. But not slavishly—recently I gave up on Gogol’s Dead Souls—and may lack the endurance for completing even the artistically exciting Anna Karenina. Employing Nabokov as my teacher embodies several paradoxes. For one, his analyses are full of very detailed plot descriptions, so must be read afterward. For another, while I honor his literary artistry, I dislike Nabokov’s haughty aesthete persona. So my experiment is fraught. Yet I find my distaste for Nabokov’s persona frees me from awe and leaves room for disagreement with the master. For instance, he disliked and dismissed Fyodor Dostoevsky, and while that Russian joins Nikolay Gogol in defeating me as a reader so far, Nabokov’s estimation of one of the world’s acknowledged great novelists seems petty and willfully obtuse. This winter I’m trying to channel my inner 14-year-old and lose myself in Anna Karenina. That’s harder with age, but it has been gratifying to feel myself excited by Tolstoy’s sentences and his magisterial yet compassionate vision of his characters. Partly, I admit, I want to learn from and argue with cold-fish Nabokov about that warm mammal Tolstoy. Hi, Richard. I too found Anna Karenina a bit slow, and even (gulp! here I go, admitting the worst!) a bit boring. It seemed like a sort of excursion into aristocratic life, and I found it hard even to empathize with Anna in many places. A sort of “poor rich lady, she’s unhappy” feeling that wasn’t very nice was part of the problem, I guess. But I did stick with it and finished it, finally. It was a triumph for my reader’s self-discipline, I thought. Ha! I hope to do as well, Victoria. But if I don’t finish the whole thing, I have gained and learned and been entertained. Actually I don’t feel compelled to finish books any more, though I try. Already I think I have “got” Tolstoy, having previously only read The Death of Ivan Illych, which I will turn to again if Anna drags. I found Ivan a deeply profound story of suffering and grace. It may be the translation itself that is making the book so hard to get through. Take these two versions of the opening paragraph, for example. All was confusion in the Oblonskys’ house. The wife had found out that the husband was having an affair with their former French governess, and had announced to the husband that she could not live in the same house with him. This situation had continued for three days now, and was painfully felt by the couple themselves, as well as by all members of the family and household. All was confusion in the Oblonskys’ house. The wife had discovered the husband was having an affair with their former French governess and announced to the husband she could not live in the same house with him. This situation continued for three days and was painfully felt by the couple themselves, as well as by all members of the family and household. Thanks, Sarah. Translators do make subtle differences that add up. I do so wonder about the “All happy families” line—one of these days I’ll do a little research; there’s probably a dissertation somewhere on it. I recently felt the need, more likely desire, to re-read some of the classics. Among them, I loaded Anna Karenina onto my Kindle. It is Constance Garnett’s translation. I much prefer your translation’s first and second sentences, but am not going to let that change my enjoyment of savoring Tolstoy’s gracious writing style. How neat, Sherrey. And Garnett’s seems really close to the one I chose. Not competing with Nabokov, I can’t help adding my two cents as a Russian native speaker. I noticed that in your list of great Russian classics the name of Pushkin is missing. Although I guess it’s hard if not impossible to find a good translation of Pushkin’s poems, there must be a decent translation of his prose. For me, his short novels, The Tales of Late Ivan Petrovich Belkin, are quintessential Russian prose, something to start with. Tolstoy and Dostoyevsky—two titans who continue stirring people’s minds throughout the world. 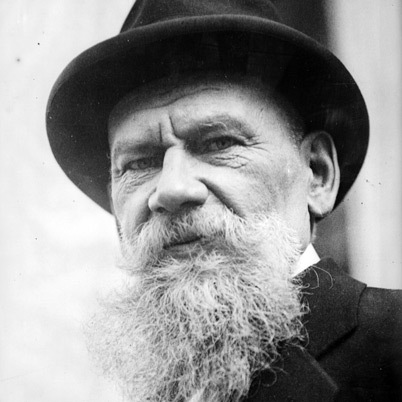 As I see it, Tolstoy was a mentor: he knew the truth and revealed it with all the perfection and grandeur of a master, while Dostoyevsky was not even sure in the existence of the ultimate truth, and still he continued writing with his own blood about the sufferings of bewildered souls. When I read “Middlemarch” a couple of years ago, it reminded me of Tolstoy’s novels. As the most of Russians, I read all of Russian classics in my teens (I always thought that the choice of novels included in the high school curriculum was not the best one: I would definitely not begin with “Dead Souls”, “Crime and Punishment”, and “Fathers and Sons”), and this is what I remember from the distance of almost 40 years. However, Dostoyevsky was a special case. I returned to him in my twenties, and then, again, in my forties. That latest time it was “The Demons”—besides everything, I was struck by how up-to-date it was, some paragraphs sounded like the chronicle of Russia on the turn of 20th century. I remember Gogol’s “Dead Souls” as the most boring work of Russian classics. I always loved Turgenev’s prose, especially his shorter fiction, as “Asya.” His “A Sportsman’s Sketches” show such an intimate connection with nature that you can rarely find—only Bunin’s short novels and stories written before 1920 come to my mind; “Chang’s Dreams” is my favorite story. I must admit that I didn’t catch the beauty of subtleties and nuances of Chekhov’s prose in my teens. He is still on my reading list. On the New Year’s Eve, I wish you to find in Russian literature not only a subject to study but also an object to love, the source of many quotes that you would like to share and some that would sound too personal to share as if they were written just for you. What a wonderful overview. Thank you, Olga. As it happens, I got my son a volume of Pushkin’s stories for Christmas. 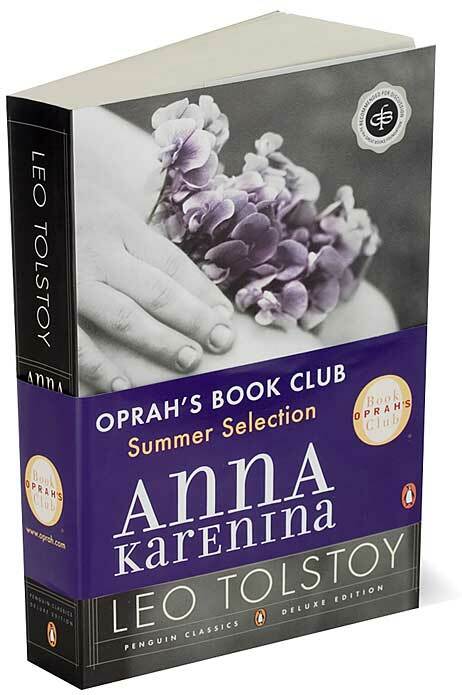 Me, I’m enjoying Anna Karenina—still, and for some time!—and find Tolstoy very current too.